However, it now seems the fatal car crash in which she was involved last February may not be completely behind her. According to a recent news article from CNN, Jenner may face charges of manslaughter in connection with the deadly car accident. The Los Angeles County Sheriff’s Office finally completed its investigation into the crash and released a statement saying it may seek criminal charges. 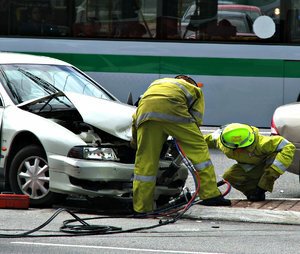 As our Boston car accident attorneys can explain, in cases involving serious crimes that did not occur in the presence of a law enforcement officer, the agency can make recommendations to the local prosecutor’s office (in Jenner’s case, the Los Angeles District Attorney’s Office), and see if prosecutors wish to file charges. If they do, they will prepare a criminal complaint and have the officer swear to an affidavit of probable cause and seek a warrant from a local judge. Once they have obtained a warrant, they can proceed to arrest the suspect. In Jenner’s case, the sheriff’s office has said it would be presenting the case to the District Attorney’s Office next week to see if a warrant for misdemeanor involuntary manslaughter is appropriate. Jenner was operating a black SUV, which was the third vehicle involved in a multicar collision on the Pacific Coast Highway last winter. Police alleged Jenner’s car hit the 69-year-old victim’s car from behind, causing it to be thrown into oncoming traffic, where another SUV ran into it as well, causing fatal injuries. During their investigation, the agency determined Jenner was not driving above the posted speed limit but was allegedly driving at a speed that was too fast for the prevailing conditions. The agency said she was not driving in a gross negligent manner. Two of victim’s children have filed a lawsuit against Jenner for negligence and wrongful death in connection with the fatal crash. The driver of a Prius, which was stopped in front of victim’s car at time of impact, is also suing Jenner. However, police alleged Prius driver was driving with a suspended license, so this may affect her ability to successfully litigate a claim in court. In the jurisdiction in which this deadly motor vehicle accident occurred, the maximum penalty for a misdemeanor manslaughter charge is up to a year in prison. However, it should be noted, Jenner has not been charged with any crime as of the time of this article, and a judge or jury has not yet determined her to be liable for causing this accident. The lawsuit filed against her is only a claim of liability that must be proven by a preponderance of the evidence in a court of law in order for defendants to collect, absent a pretrial settlement.